Are you thinking of redecorating or revamping a room in time for Christmas and beyond, but unsure of the latest trends in interiors? Look no further! Over the next few blogs, Collective will guide you as to what are the hottest looks for 2016/2017, whether you want to completely revamp or simply just add a few ‘on-trend’ touches to your living space, we’ve got plenty of suggestions for both. 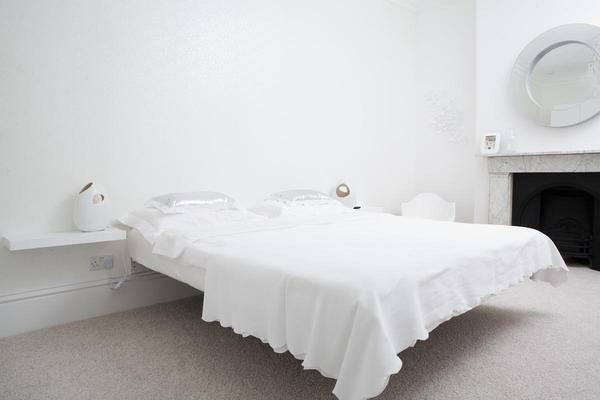 We’ve all seen those impossibly white looking interiors in glossy magazines and wondered how practical those are to live with, but, no need to worry, although this is currently one of the hottest home trends, there is a white interior for every lifestyle. White – it comes, believe it or not, in a multitude of shade variance and it is this that can be used to great effect to create effortless style particularly when used in combination with white, off-white and neutral textiles as well as other materials such as glass, wood, wicker, ceramic, metals etc. For Vintage style, in bedrooms and living rooms, mix white walls with white or off-white cushions trimmed or made with lace, vintage white cottons and linen, white washed floorboards, white knitted throws, wooden picture frames and vintage light fittings. Ethnic style white interiors combine ceramic patterned floors with patterned white storage vessels in an array of sizes, patterned throws, rugs and cushions in multiple shades of white. North African inspired lamps and light fittings add authenticity. Monochrome style – using white walls and floors as the back drop, which is then picked out with black furniture, picture frames, mirrors, lamps and light fittings. For a clean scrubbed-back fresh look, use whitewashed floorboards, integrate rough stone walls left natural or painted white, white fire places, textured roughly woven neutral floor coverings, white metal light fittings, and white throws over beds sofas, or chairs. This style can also be used be used in the kitchen incorporating white cupboards, old looking wooden or slate worktops, white light fittings and white kitchen crockery and accessories. For Glamourous and opulent style incorporate white marble surfaces in your bathroom or kitchen teamed with rose gold accessories, extravagant metallic lamps and light fittings, and for the bedroom/living , add a variety of luxurious white soft furnishings, including textured throws, and cushions, sheepskin or reindeer rugs. For the very best ‘White Christmas’ bedeck your green tree with a multitude of white textured ball balls and of course, white lights!